Fabulous Channel by Giselle Claudino: Miley Cyrus Cuts it OFF for a Good Cause! New look! 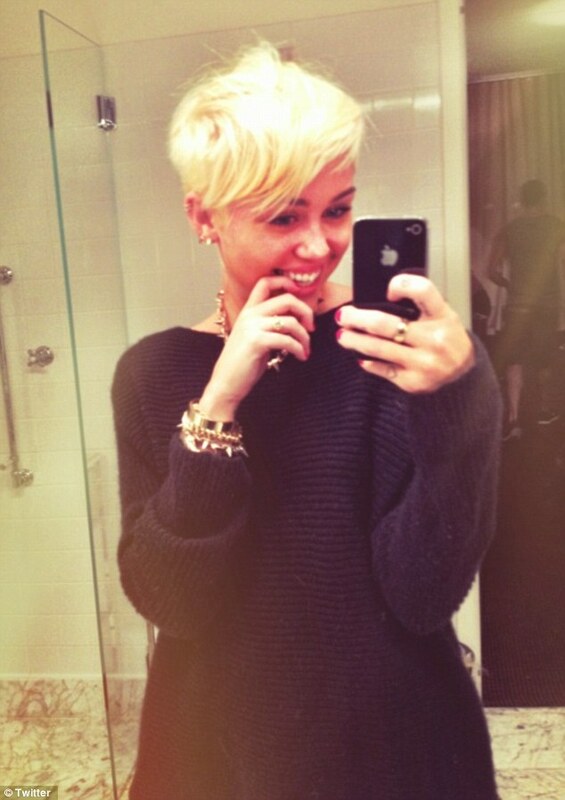 Miley Cyrus Cuts it OFF for a Good Cause! New look! Good news from Miley Cyrus! The girl went from sweet Hanna Montana to a beautiful mature actress, and now to a really fashion forward lady - Hello Miley fashonista! Did you guys approve her new hair cut?? Here is Miley and I (2 years ago) at B2V hair Salon when she was getting long hair extensions by the talented hair stylist Ricardo Lauritzen. Now the hair is all off!! The results????? You see it yourself! She did it!! OMG! I couldn't believe my eyes when I saw it. That takes some guts! It looks edgy and full of personality. Why not change?You rock Miley! According to some blogs, the fans did not react very well to her new transformation, and as much as she loves her fans, the answer to everybody who is dropping off "NOT COOL" comments is: "If you don't have something nice to say don't say anything at all. My hair is attached to my head no one else's and it's going bye bye ;)" . She died it very blond in addition to the EXTREME HAIR CUT! The multi-task young star (Singer, actress and fashionista) claims that her fiance' Liam Hemsworth loved it and said that has never seen Miley that happy. So, what else do you need if you love one approve the new look?? Many are wondering why she did it, well, and even though there is not confirmation from Miley or proof of it yet, rumors say that it was for a good cause. She did it for the cancer patients. The info that has been around is that the star donated the hair to Locks of Love intitute. 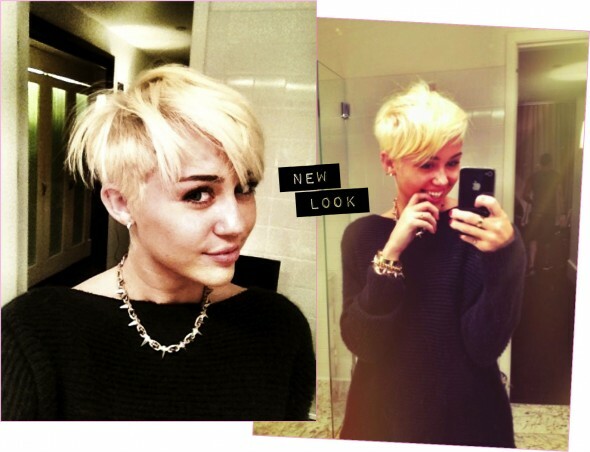 I guess wheather it was for a "good cause" or not, Miley loved her new look and she cannot stop tweeting pictures of it. So, do you love or hate it??? I absolutely adore her! I had the honor of metting her and I'm a BIG FAN! Congrats on your news look Miley! !